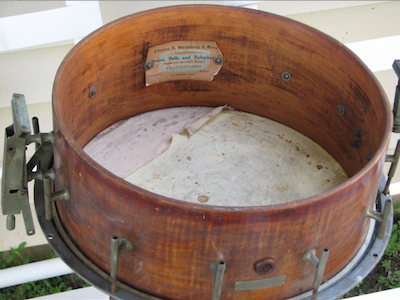 To understand how far this drum has come, one has to see what it looked like before the restoration campaign was undertaken. Cobwebs, dead bugs, dust on top of dirt, and almost enough missing parts to prevent the whole thing from coming together. 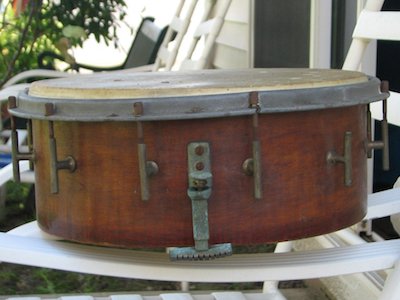 In other words, real change was needed to bring back this drum back from the brink. In a triumph of determination over frustration, patience and hard work prevailed. Not that this will ever be a serviceable instrument for any modern performance application, but a glint of the past has been preserved. 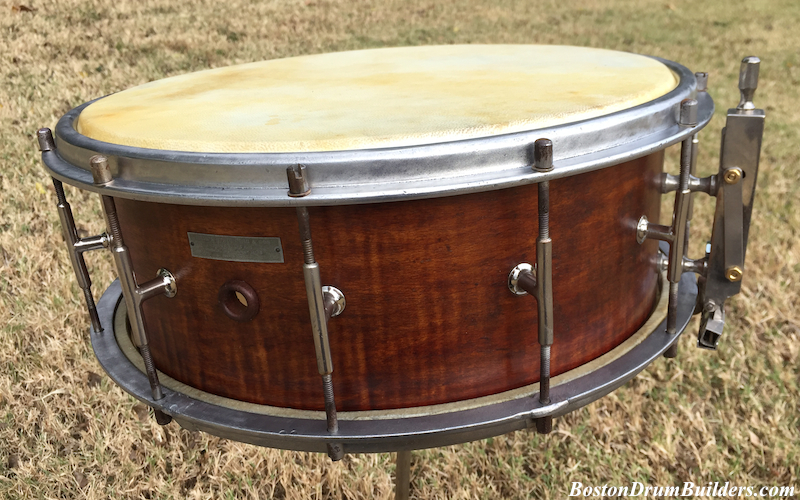 And that alone should give hope to future generations of drummers, drum collectors, those interested in the instruments of Charles A. Stromberg, and anyone passionate about antique musical instruments.